CINCINNATI - Evidence shows that a white University of Cincinnati police officer was wearing a T-shirt with a picture of a Confederate flag on it when he fatally shot an unarmed black man last year. 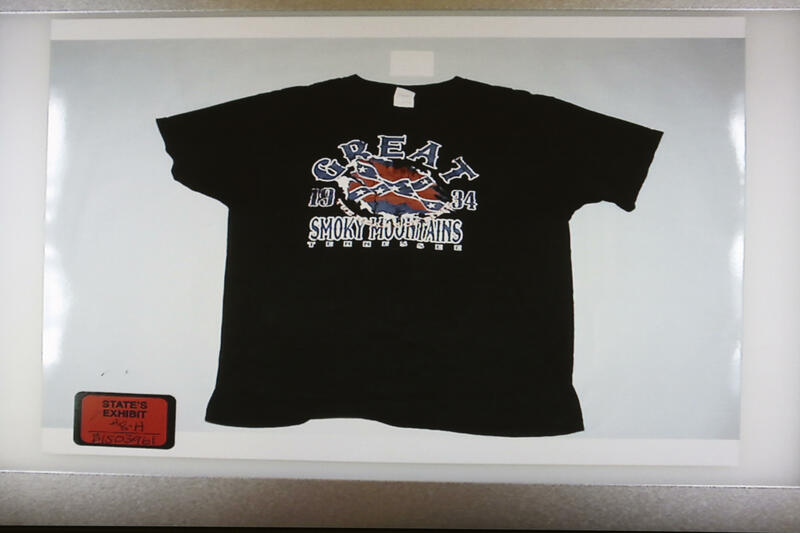 A photo of the black T-shirt with the flag and the words “Great Smoky Mountains” was presented during a crime scene technician’s testimony Friday at the trial of since-fired Officer Ray Tensing, 26. Tensing was wearing the shirt underneath his police uniform, reported the Cincinnati Enquirer. Tensing is charged with murder and voluntary manslaughter for the July 2015 fatal shooting of Sam DuBose, 43, after a traffic stop for a missing front license plate near campus. Tensing contends he was dragged by the car driven by DuBose. A prosecution expert witness says Tensing’s body camera video of the shooting contradicts his argument. Tensing’s attorney has said he feared for his life as DuBose tried to drive away, using his car as “a weapon.” DuBose was shot once in the head. The defense attorney told jurors that DuBose was desperate to get away because he had enough marijuana in his car to face a felony conviction. DuBose had a long history of traffic and marijuana-related convictions, but his family says he wouldn’t have been a threat to a police officer. The prosecution contends that Tensing was lying when he said he was in danger of being dragged to death. If convicted of murder, Tensing faces 15 years to life in prison. He has pleaded not guilty.